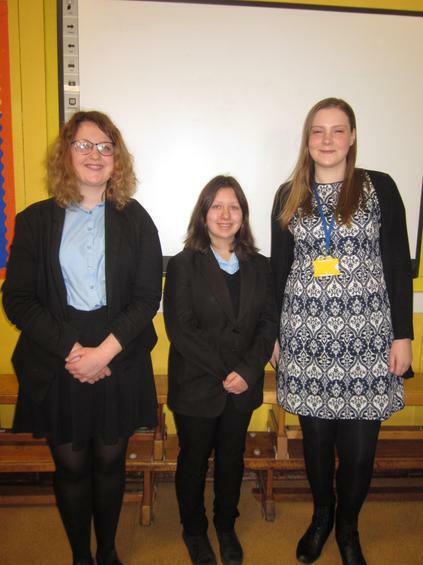 Coombe Dean Year 10 students, Lucy and Jane, were invited to take an assembly in Wembury, after their visit to France and Belgium, earlier this year. 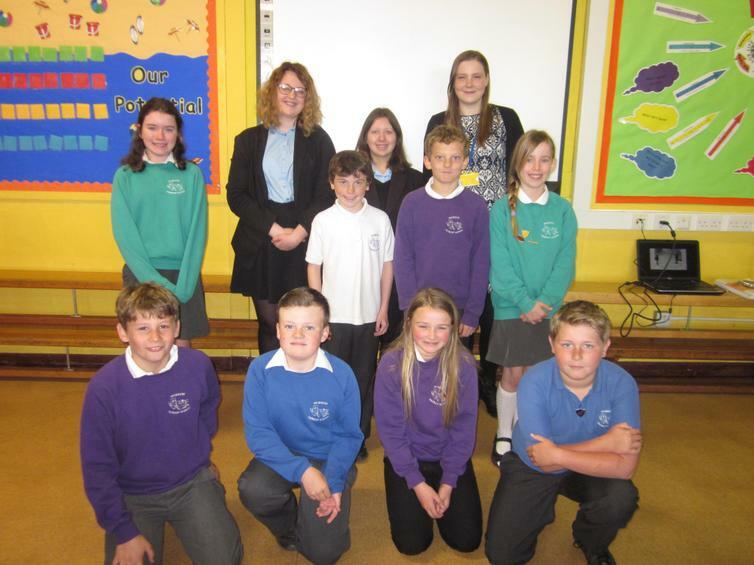 They were escorted by their teacher, Miss Fran Wedd, to visit WW1 sites, museums and memorials, as part of their studies. Both girls gave an insightful and informative presentation on their visit, and were asked many questions by the intrigued Wembury pupils. The girls also discussed the effect this visit had on them and how it brought some of what they already new alive as well as further respect for those who died for our country. Many of the pupils, who will be attending Coombe Dean next year, were keen to attend another visit like this, should there be one in the future. A huge thank you to Coombe Dean, Miss Wedd, Lucy and Jane for their presentation; especially to Lucy, an ex-pupil, for being so confident in front of her previous school's staff and pupils and inspiring others.